Where’s the Princess? Where’s the pea? What a find, Ms. M. I admire the proximity to the drain hole — as if some wishful thinker had imagined the pile would dissolve in the night and disappear into the sewer. A wordlessly wonderful shot, demanding one of your stories! Did you check for a pea? This reminds me of when we were in Western Samoa (a long time ago). 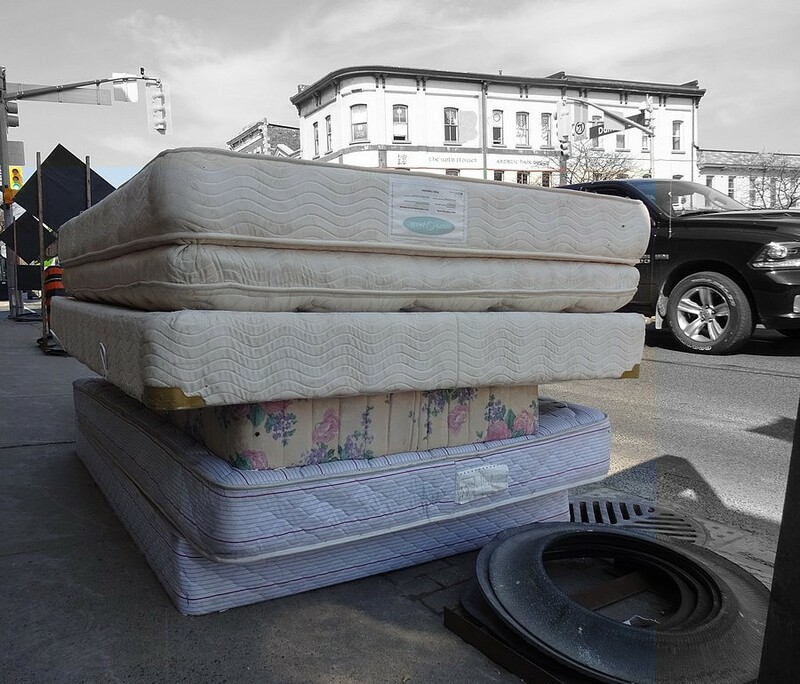 The mattresses were all piled up like that and the guest of honour slept on the pile while the rest of the family slept on mats on the floor.